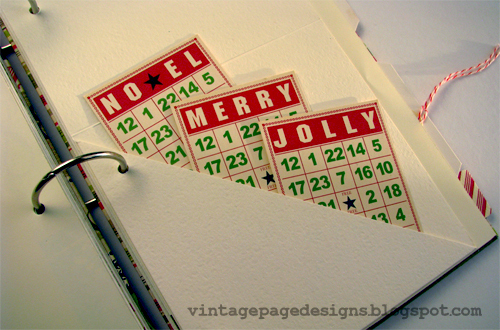 Here's a peek at this year's holiday journal. It's a super simple binder ring construction that measures 6" x 9". 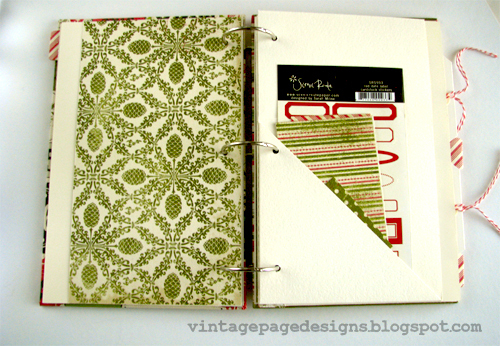 The covers are book board covered with patterned paper and the inside pages are a mixture of patterned paper, tags, envelopes and plain pages. The opening page contains one of my favorite quotes by Rainer Maria Rilke. 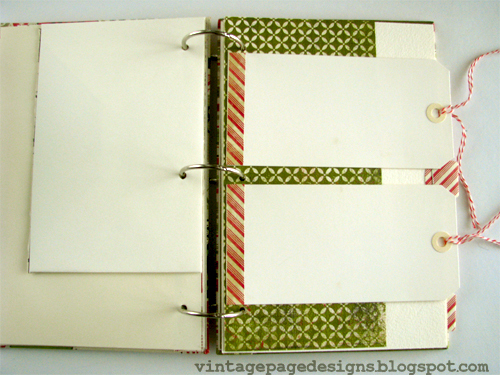 I included some pockets to store my journaling tags and other odds and ends. I also included several tags for fun! 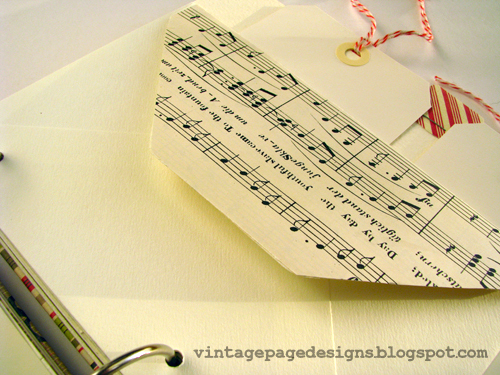 And an envelope or two decorated with some vintage sheet music. 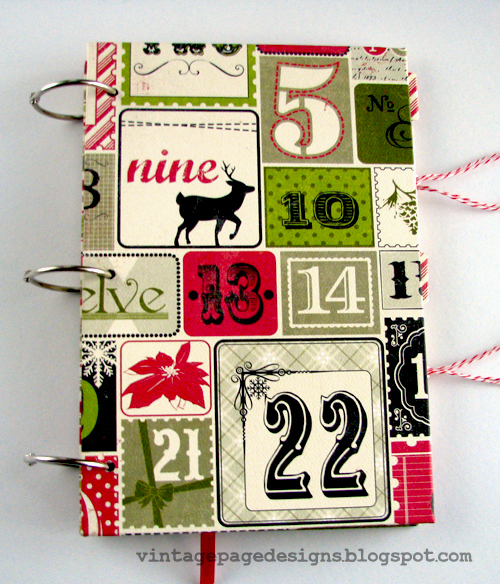 It was a lot of fun to make, now it's going to be fun filling it up with 2012 Christmas memories. Thanks for stopping by today - stay in touch by becoming a follower of this blog or following my Facebook page. 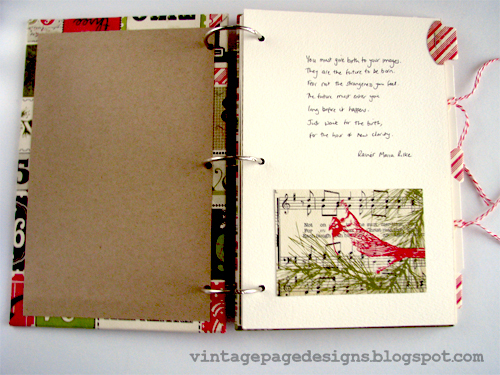 From cover to finish, gorgeous journal. I just love this. I have wanted to do this as a memory keeper. Very inspiring! Love your blog too.